New DIMA Mugs: did the brooms sweep Immigration clean? The 2005 Cornelia Rau and Vivian Alvarez scandals rocked Australia and its Immigration Department ('DIMA', previously DIMIA); undoubtedly, DIMA was under intense pressure to implement major procedural change -- even more so following the investigation conducted by Mick Palmer. IMAGE: thanks to Matt Golding and The Age. Buying everyone new coffee mugs or devising a new slogan does not signify change - and yet, that's exactly what Immigration did. We've always been quite cynical about the implementation of any change; first because those at the top - the ministers - did not resign or get sacked, and second, because the Howard government did not announce any policy change. In fact, it was more likely that John Howard, over time, would make sure that any of the changes brought about as a result of the pressure by dissenting backbenchers such as the Georgiou group would be made undone. A year on a picture starts to take shape and emerge of what DIMA is up to. Two articles on this page: first, a summary article about the DIMA changes from the UWA magazine The New Critic by migration agent and refugee worker Kathy Wake, and second, an article from The Age's Andra Jackson, who's no stranger to the stories of refugees and asylum seekers: Ms Jackson was the reporter who first broke the story of Cornelia Rau. 23 February 2008: What !!! - No Royal Commission??? - The Rudd government and Immigration Minister Chris Evans have moved very swiftly to undo some serious damage done to the asylum processing system under the previous government, but there has also been some serious back-tracking and summer-saulting backflips - one of them on Labor's furious former commitment to a Royal Commission into the Immigration Department. As a service provider under the Department of Immigration and Multicultural Affairs' (DIMA) Immigration Advice and Application Assistance Scheme (IAAAS), I was recently invited to attend the West Australian launch of DIMA's Client Service Improvement Programme - 'People Our Business'. One year ago, the revelations of the Palmer  and Comrie  Reports exposed DIMA's "serious cultural problem" . The Department now summoned its "key stakeholders" to hear about its much-heralded "cultural-change". Proceedings opened with a cursory nod from the State Director to the "recent unpleasantness" which had precipitated a "tumultuous period" for DIMA. As the PowerPoint flashed the question, "Where have we come from? ", the First Assistant Secretary took the microphone to assure us that over the past twelve months the Department had acknowledged and confronted its myriad administrative failings - failings which culminated in the unlawful detention of an Australian permanent resident and the unlawful deportation of an Australian citizen - and had embraced an unprecedented process of self-examination and reflection. The slideshow peremptorily clicked over to a question with which the presenters appeared much more comfortable - "Where are we going?". 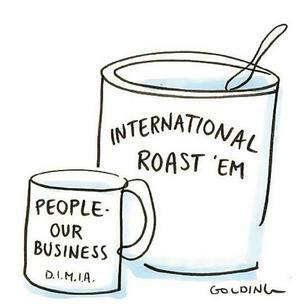 My view of DIMA is inevitably jaundiced given that most of my dealings with the Department are in my capacity as representative of that most contentious and maligned species of Australian visa applicant - the "asylum-seeker". My clients are variously known as the "illegals", the "queue jumpers", the "boat people". As such I have had to come to terms with the fact that the outcomes I can achieve for those clients are gravely limited by our domestic legislation, as it impacts (or subverts) the operation of the United Nations Refugee Convention, in Australia. I will not endeavour here to add to the already voluminous debate surrounding the ideology of "border protection" which has underlain the progressive amendment of Australia's Migration Act in recent years. Nor will I attempt to canvass the many high-profile DIMA blunders already so ably catalogued by rolling media headlines. The question I seek to explore is one I ask myself and my colleagues everyday - One year on, is DIMA "cultural-change" more than just a press release? Does it actually exist? The findings of the Palmer Report  released in July 2005 set in train the DIMA "cultural change" process. Although ostensibly confined to an investigation of the circumstances of the unlawful detention of Australian permanent resident Cornelia Rau, Mick Palmer drew a wider bow. The "serious cultural problem" he identified was one which necessitated "urgent reform". The culture of the Department was "overly self-protective and defensive, a culture that was largely unwilling to challenge organisational norms or to engage in genuine self criticism or analysis." . "It is difficult to form any conclusion other than that the culture of DIMIA was so motivated by imperatives associated with the removal of unlawful non-citizens that officers failed to take into account the basic human rights obligations that characterise a democratic society." "For some DIMA officers, removing suspected unlawful non-citizens had become a dehumanised, mechanical process ." Where have we come from? I was first exposed to the workings of the Department as a student volunteer at a community legal centre. It was there that I met and heard the stories of the Afghan and Iraqi "boat-people", the human faces that belied the hysteria of the Tampa and "children overboard" headlines. As "unauthorised arrivals" who were subsequently determined to attract Australia's protection obligations under the UN Convention, these bona fide refugees faced a thirty month wait on Temporary Protection Visas (TPV) before their claims for permanent protection would be assessed. Whereas I would steadily harden myself to the implications of the operation of the TPV regime as embodied in law, I remained unprepared to reconcile myself to the further human toll the administrative processes of the Department itself would take. The mistakes, the incompetence, the interminable delays, and the obstructiveness which characterised the Onshore Protection process would ensure that most TPV holders would be granted permanent residency in Australia not in three years, but rather five or even six years after their arrival by boat. While they waited for the opportunity to go through the refugee determination process a second time, their wives and children floundered offshore. Some of my clients lost wives and children to the same enemies they had fled while waiting for the Department to do its job. "9. DIMIA officers are authorised to exercise exceptional, even extraordinary, powers. That they should be permitted to do so without adequate training, without proper management and oversight, with poor information systems, and with no genuine quality assurance and constraints on the exercise of these powers is of concern. The fact that this situation has been allowed to continue unchecked and unreviewed for several years is difficult to understand ." One of my more jaded colleagues once likened DIMA to a corrupt third world country. DIMA officers do indeed wield extraordinary and largely unchecked power. In the humanitarian and refugee setting, it is not mere hyperbole to suggest that the power to grant or refuse a visa may be power over life or death. Given that appeal avenues in respect of refugee family reunion are in many instances blocked by law and in others wholly impracticable, it is up to the advocate to make sure DIMA gets it right the first time. All too often it falls to the advocate to educate poorly-trained DIMA decision makers as to the law and policy they are charged with administering. Some are more receptive than others to correction. When you find yourself celebrating or bemoaning the name of the DIMA officer assigned to your case, when your advice to clients differs according to the embassy or consulate that will decide the application, you realise the full extent of the farce that is consistent administrative decision making. When faced with an unreasonable, obstructive decision maker bent on some erroneous wrong, the advocate has little choice but resort to a wheedling strategy of escalation. You attempt first to pander to, then to cajole, then perhaps to shame the decision maker into a decision in line with law and policy. You hope at least to learn their name before they cut you off. When all else fails, you climb your covertly-obtained DIMA organisational chart until someone "further up" responds to your email. You try and make it harder for the Senior Migration Officer, the Principal Migration Officer, the local State Director, the Programme Director in Canberra or the Member of Parliament to ignore you than to pull rank on the recalcitrant officer. You keep a paper trail for the Ombudsman's complaint you will never have time to write. You keep a record of the reasonable people you stumble across who are willing to "stick their neck out" to correct the mistakes of their colleagues. But you know that in the game of "musical chairs" that is DIMA, the next time you need them they will have been seconded elsewhere. You learn to cultivate decision makers and to ingratiate yourself in order to propel your client's cases forward. You force yourself to say "Thank-you" when they finally do their job. Ironically it was during the course of one of the hardest family reunion battles, that I caught my first glimpse of the bright, shiny face of DIMA "cultural-change". This same case serves as a good example of bad, inflexible administrative decision making which had heinous consequences for a child living in the most vulnerable of circumstances. My client was an Afghan Hazara man who fled the Taliban regime and arrived in Australia by boat in 1999. Just prior to leaving Afghanistan his elder brother had been killed by the Taliban and my client took responsibility, by operation of custom, for his brother's eight year old son, who he was then forced to leave behind. It was not until five years after his arrival in Australia that my client was granted a Permanent Protection visa, in 2004, and finally had standing to sponsor his orphan nephew for migration to Australia. By this time the child was living with, and caring for, his elderly grandmother, my client's mother, in a rented room in the makeshift refugee settlement that is "Hazara Town" in Quetta, Pakistan. My client lodged an application for a Child visa at the Australian High Commission in Islamabad. One month later, the child woke up to find his grandmother dead. He was now completely alone. The visa application was eventually refused by DIMA Islamabad seven months after it was lodged. The reasons cited for the decision were two fold. Firstly, DIMA Islamabad eschewed outright the evidence of Australia's foremost expert on Afghanistan, Professor William Maley of the Australian National University, in respect of customary adoption and child custody practices among the Hazara people of Afghanistan. The decision maker chose to rely instead on undisclosed, apparently verbal advice from an unnamed person they had rung up at the Afghan Embassy in Australia. Secondly, DIMA Islamabad was not satisfied that the child's parents were "dead, of unknown whereabouts, or permanently incapacitated" from taking care of him. The problem was of course that there was no evidence we could provide. It was self evident that no death certificate was available in respect of the child's natural father. The Taliban did not issue death certificates in respect of the people they executed, and no retrospective acknowledgment was available. The fact and circumstances of the child's natural father's death had already been accepted by the DIMA in so far as they formed a substantial part of my client's claims for protection as a refugee on his arrival in Australia in 1999. There were no means available by which my client could contact the child's natural mother, or even ascertain whether she was still living. As was customary, the child's natural mother returned to her own family when her marriage ended, leaving the child in the care of her husband's family. However unpalatable it may be to our western sensibilities, her survival in that society depended on her remarriage. The child of a previous marriage would not be acceptable to - would simply not be fed by - a new husband and his family. In normal circumstances, searches of government registries, telephone directories, electoral roles, and advertisements in newspapers, may be undertaken in support of an assertion that a person is of unknown and unascertainable whereabouts. There were no such mechanisms available in respect of rural Afghanistan in 2004 and 2005 and 2006. The child was denied a visa simply because we could not provide particular evidence in circumstances in which that particular evidence would be unattainable regardless. When the Migration Review Tribunal (MRT) affirmed the DIMA decision on the same basis another seven months later, we secured the assistance of pro bono counsel and took the matter to the Federal Court. Although we remained confident of ultimate success, the clock was ticking. Like most Afghan refugees, the child had no lawful status in Pakistan and remained in constant fear of the Pakistani authorities. He had already spent over twelve months fending for himself. On this basis, counsel for DIMA agreed to an expedited timeline to hearing. Nonetheless, given an impending court recess and substantial decision backlog, we anticipated at best a further six month wait for the Federal Court decision. Then, just two days before the hearing, DIMA made a virtually unprecedented decision. DIMA chose not to contest the Federal Court application. Consent orders were drawn up to remit the matter back to the MRT for its reconsideration. After a now one and a half year battle in respect of this one child, I saw the first glimmer of "cultural-change". Three months later, we had the right MRT decision on exactly the same evidence. Having waded through a further three more months of red tape back at DIMA Islamabad, the child was granted his Australian visa. Two years after we started the process, and seven years after my client's arrival in Australia, his orphan nephew came through the gate at Perth airport. Ensuring well trained and supported staff. These modest principles are said to be encapsulated by the new DIMA 'tag-line' 'People Our Business'. The words "People our Business" now feature on DIMA stationary and all manner of other corporate-issue paraphernalia - from badges to pens to drink coasters to screen savers. On its face, DIMA's chosen moniker appears to reflect the economic imperative which underlies the grant of most permanent Australian visas. The "Economic Entry" migrant classes - comprising Australia's skilled and employer sponsored and business investment migration programmes - account for the vast bulk of Australian migrants. In a time of chronic skill shortages, facilitating the entry of skilled people into Australia is indeed a matter of good business. But what acknowledgment does the new DIMA catch-cry make of family or humanitarian entrants to Australia? At the risk of glibness, I think it is unfortunate that "People Our Business" could equally well befit any self-respecting concentration camp or people-smuggling operation. Semantics aside, what does "cultural change" actually look like? However grateful I am for an ever increasing willingness on the part of the DIMA hierarchy to mop up the mistakes of its officers, I remain hopeful that "cultural change" will eventually actually prevent those mistakes in the first instance. There are positive signs. Over the last few months, advocates have enjoyed unprecedented access to the DIMA hierarchy. The policy makers now want to know what we think about their processes, and to understand their implications. On the coal face of decision making, there has been a massive personnel turnover. Many of the names I bemoaned, once so entrenched, have disappeared. Relatively cheery decision makers now answer my telephone calls and emails. They identify themselves. The decision makers themselves express relief that, "We are not like that anymore". My own day to day experience of the DIMA is of course an imperfect gauge of the extent of "cultural-change". I look forward to having my cynicism further challenged. * The views expressed are the writer's own and do not necessarily reflect those of The Catholic Migrant Centre or C.A.S.E for Refugees. 1. M. Palmer, Inquiry into the Circumstances of the Immigration detention of Cornelia Rau: Report. Commonwealth of Australia, Canberra, July 2005. 2. Commonwealth Ombudsman, Inquiry into the Circumstances of the Vivian Alvarez Matter Report by the Commonwealth Ombudsman of an inquiry undertaken by Mr Neil Comrie, AO, APM (Report no. 3 of 2005), Canberra, October 2005. They are the too-hard cases -- asylum seekers shipped off to Christmas Island or living in limbo on the mainland. Andra Jackson traces their stories. THE doors of the high security Baxter detention centre in South Australia may have closed for the last time on asylum seekers, but this doesn't mean their claims have been recognised or their futures settled. For one man at least, the end of the line was not Baxter. His dark journey continued to a psychiatric hospital and then community detention. The 33-year-old Bangladeshi fled to Australia by boat at the height of the asylum seeker arrivals. Now Australia's longest serving detainee, he has been waiting seven years for his status to be resolved -- at least six of those years spent under lock and key and a period in a psychiatric ward. His transfer to a "residential determination" -- community-based detention -- in South Australia still leaves him in a precarious position, according to refugee workers in a Red Cross-provided house. He has no right to work and no right to stay in Australia. "He is in limbo," one refugee worker said. The stateless man -- the subject of a failed deportation attempt by the Immigration Department last year -- is part of the unfinished story of Australia's "boat people" era, which at its height fi ve years ago involved 4137 asylum seekers taking this perilous route to Australia. He is one of 19 asylum seekers who, according to Immigration Department figures supplied last week, arrived in Australia by boat and remain in various forms of detention. He is among the "too-hard" cases that remain hidden from public glare, or in the case of newer arrivals, no longer kept in mainland detention centres. They are instead sent to Christmas Island, or if they failed to reach Australian shores, to Nauru. As the Immigration Department acknowledges on its website: "Historically, the Australian examples of people smuggling, which attract most media attention, have been by boat. However, the majority of smuggling into Australia and other countries occurs by air." Under a push led by Liberal backbenchers last year over the prolonged stay in detention of asylum seekers -- mostly boat arrivals -- long-term detainees in Baxter found themselves suddenly handed a bus fare to Adelaide and shown the door. It was a process hastened by recommendations by the Commonwealth Ombudsman who was charged with reporting on the cases of all detainees held for more than two years. Most were given temporary protection visas or, in the much-publicised case of stateless Peter Qasim who was detained for more than six years, put on return pending visas. While the department retains the option of "removing" them if a country can be found that will accept them, people in this category can at least start to get on with their lives. Qasim has thrown himself into study. The Immigration Department has since slowly been clearing up the backlog of "too-hard" cases. But it still has not cleared all the asylum claims stemming from what it terms unauthorised boat arrivals. In a sign that asylum-seeking boat arrivals understood that the department was under a political imperative to deplete their ranks, a number of escapees decided it was the right time to hand themselves in. Three longterm escapees from Port Hedland and Woomera -- the Woomera detainees having escaped when protesters pulled over part of a fence during a demonstration on March 30, 2002 -- have handed themselves in over the past year, leaving the department with the dilemma of how to respond to their claims. Two remain in Sydney's Villawood detention centre seven months after turning themselves in and two have been placed in community detention in NSW. Another group "left behind" when detention centres were emptied were those suffering the psychological impact of long-term detention -- three "broken" asylum seekers now in community detention but with their visa status unresolved. Others are new arrivals whose presence in Australian detention centres would be a reminder that the issue of desperate people who take to the seas in a bid to fi nd sanctuary in Australia has not gone away. They are kept on Christmas Island. There is no official acknowledgement that another three asylum seekers were able to breach Australia's security, arriving by boat just two weeks ago, according to Western Australia refugee advocate Kaye Bernard. The two middle-aged Vietnamese men and the Indonesian captain of their boat have joined, on Christmas Island, a group of asylum seekers from West Timor, East Timor and Palestine who arrived by boat. The two Vietnamese men who were accorded United Nations refugee agency refugee status after escaping from Vietnam in the 1970s, have been living in refugee camps along the Thai border. After waiting more than 30 years in the queue -- the Government's offshore humanitarian program -- they decided to jump the queue and get to Australia by any means. While the number of people who seek asylum after flying into Australia on either false or short-term visas does not seem to have changed over time, The Age has noticed what may be another trend indicating the increasing desperation of asylum seekers to find a country to take them in -- a return to stowing away or jumping ship. Refugee advocates cited present detainee cases that included three Tanzanians, two Moroccans, a number of other Africans including a man from Zimbawe who is in a psychiatric ward. Pamela Curr, co-ordinator of the Asylum Seekers Resource Centre, said in one case of three Angolans stowaways, one died on board ship and the crew initially threatened to throw the other two overboard. The refugee community was also preparing for increased pressure for sanctuary in Australia from the Iraqis, she said. The number of Iraqi refugees has been underestimated -- with 6 million worldwide. They are now building up in Jordan, Turkey and Syria where they are awaiting UNHCR assessment. The Immigration Department was asked on Tuesday for information on its own fi gure of 19 remaining boat arrivals in detention. Over three days it failed to adequately supply the information. The information in this report has been compiled form refugee advocate sources and present and former detainees. 1. A 32-year-old man from Afghanistan. Arrived by boat in 2000. A member of the Hazara minority, he fled after his brother was taken by the Taliban. Initially detained in Woomera detention centre, escaped in 2002; turned himself in seven months ago. Department will not consider granting him a temporary protection visa until Kabul confirms his identity. 2. A 30-year-old Afghan man, also a Hazara. The Immigration Department is also waiting for his identity to be confi rmed by authorities in Kabul. 3. A 43-year-old man from China. Arrived August 1992 and was placed in Port Hedland detention centre. Released on a bridging visa in 1995 while application was appealed. When that visa expired, he was taken back into custody on February 3, 2003, and placed in Villawood detention centre. 4. A man who fled Iran after his family were harassed and he was shot. Sent to Woomera, he escaped in 2002. He handed himself in 10 months ago. He was moved from Villawood to a psychiatric hospital. Has been granted a temporary protection visa pending ASIO clearance. 5. An Iranian man, arrived by boat in 2000, and placed in Curtin detention centre. Went on a hunger strike to protest against the conditions, and was admitted to hospital. Escaped from hospital and eventually surrendered to immigration officials three months ago. In community detention in the Blue Mountains. 6. "Said", an Iranian longterm detainee who was transferred from Baxter to Glenside psychiatric hosptial and later to a private psychiatric hospital in Brisbane. Now in community detention. 7. A 33-year-old Bangladeshi man not recognised by that country. Held in detention for six years. Diagnosed as suffering a major depressive illness, anxiety and post-traumatic stress disorder. Removed to psychiatric hospital until the Immigration Department tried unsuccessfully to deport him last year. He still has no visa status. 8. Mustafa Ridwan, 23. A Muslim from Alor in West Timor, he says that he, two brothers and a nephew fled Indonesia last year because they did not want to be enlisted in anti-Christian campaigns. They claim they had been pressured into carrying out attacks against Christians in their village. 9. Mahmud Ridwan, 30, claims to have faced religious pressure. 10. Jamal, an 18-year-old West Timorese man who is Mahmud's nephew. Claims to be fl eeing religious pressure. 11. Farida Ridwan, 25, wife of Mahmud. 12. Byrant Ridwan, 3, from West Timor, son of Mahmud. 13. Taufaq Ridwan, 2, from West Timor, son of Mahmud. 14. Manuel, an East Timorese man from Maliana, aged 40, who travelled to West Papua and undertook the crossing to Australia from there by canoe. Unable to speak English. 15. Yusef, a Palestinian man who travelled by boat to the Torres Strait and was picked up by immigration officials on March 17. 16. A Vietnamese man, one of the most recent boat arrivals. Granted UNHCR refugee status in the 1970s. He had reportedly been living in a refugee camp near the Thai border since then. 17. A Vietnamese man, also with UNHCR refugee status, who spent more than 30 years living in a refugee camp near the Thai border. 18. An Indonesian man, captain of the boat that brought the two Vietnamese men to Australia. 19. An Iraqi man, Mohammad Faisal, spent four years on Nauru, was accepted as a refugee but refused a visa on security grounds. He became suicidal and was evacuated several weeks ago to a Brisbane psychiatric hospital.